Pushing Myanmar is creating the first free of charge community-built skatepark in Yangon, the largest city in Myanmar (Burma). 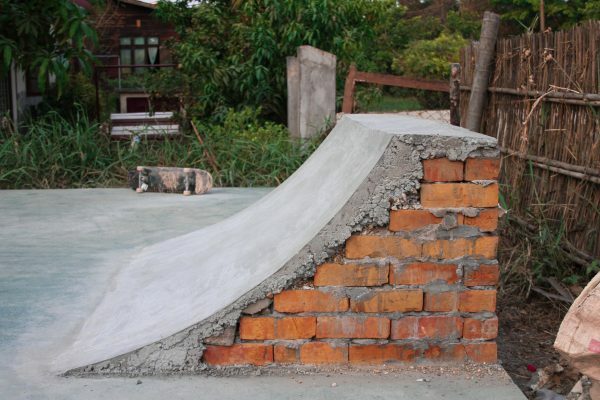 The Yangon City Development Committee has granted permission for German non-profit organization Make Life Skate Life to construct a 300m2 concrete skatepark at a public park in Kamayut Township, close to downtown Yangon. If we can reach our fundraising goal, construction will begin November 15 and the skatepark will be open to local youth by December 5! Local skateboarder Htet Myat, kickflip at People’s park. Myanmar. Local skateboarder Soe Min Oo at Hleidan bridge. Quarter pipe built with locals. April 2015. Construction will be led by a team of professional skatepark builders from around the world working as volunteers. 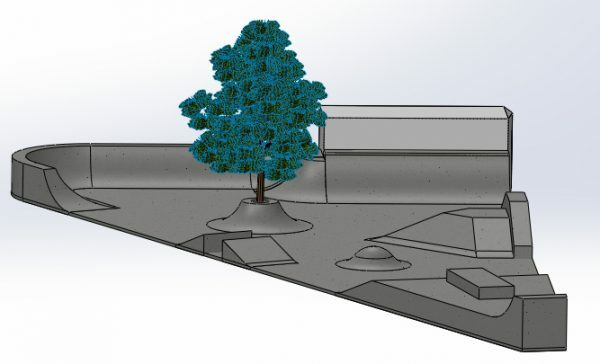 They will not only be donating their time and skills to build a skatepark, but to work with local volunteers and share their knowledge in the art of skatepark construction to create a truly community-built skatepark. Local skateboarders will be provided with the tools, materials, and knowledge to create their own skatepark. Our goal is that future skateparks in Myanmar will be able to be 100% locally built.The skatepark will provide youth in Yangon with an accessible outlet for socializing and physical activity. Once the park is completed, skateboarding classes will be taught regularly by experienced skateboarders in order to encourage the development of new skateboarders. A free of charge skateboard equipment loaner system will be established so that all youth can use the skatepark, regardless of economic standing. With your help we can make this project a reality for the youth of Yangon! Show your support and Contribute Now! 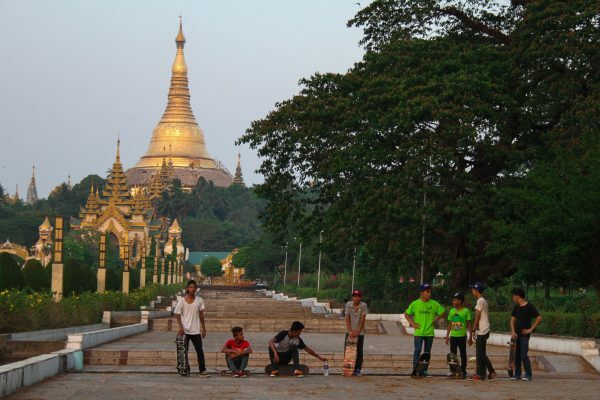 A community of skateboarders has existed in Yangon since the mid 1990’s. Living under a military regime isolated from the rest of the world, skateboarders in Yangon spent decades riding poor quality skateboards while receiving no support from their government. With the opening up of the country in recent years, quality skateboarding equipment has begun to make its way to the country. 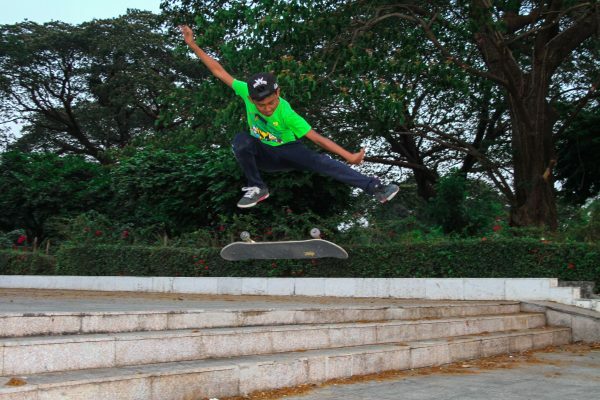 There are now over 100 active skateboarders in Yangon, but unfortunately the city still lacks a concrete skatepark. Yangon has a population of over 5 million, with over 40% under the age of 25, and lacks the public recreation facilities to sustain its growing youth population. A skatepark will provide a shared community space where interested youth can learn from more experienced skateboarders, allowing the Burmese skateboarding community to grow and flourish for decades to come. Children from all different ethnic, religious, and economic backgrounds can find common ground through skateboarding in a country rife with ethnic and religious conflict. In a city with 9 major ethnic groups and 4 major religions, the existing skateboarding community of Yangon is already a strong example of how skateboarding has been able to connect youth from all different backgrounds toward a shared passion. For more background on skateboarding in Myanmar, check out the documentaries Altered Focus: Burma and Youth of Yangon in the campaign gallery. Make Life Skate Life is a German registered non-profit organization that works to share skateboarding with youth around the world by constructing free of charge community skateparks. 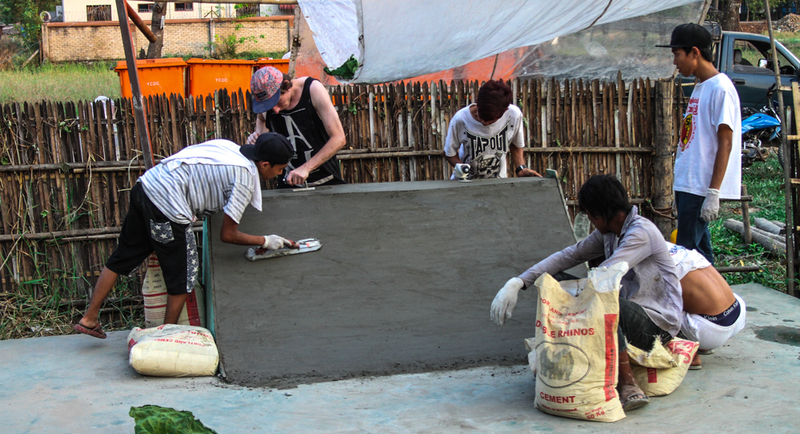 Our previous skatepark projects India, Bolivia, and Jordan have provided countless youth the opportunity to enjoy skateboarding who would not have otherwise been able to. Our projects achieve success through local community involvement from start to finish, providing local communities with the tools, materials, knowledge, and inspiration to create their own projects. The professional skatepark builders that volunteer on Make Life Skate Life projects donate their time and skills, not only to create a skatepark, but to share their knowledge in the art of skatepark construction with skateboarding communities around the world. By involving local skateboarders in the planning and construction process, there is nothing stopping them from replicating the process to create more skateparks for their community. Since completion of Make Life Skate Life’s Holystoked skatepark project in 2013, local skateboarders have completed over a dozen skatepark projects around India. For the latest project updates, follow @pushingmyanmar on Facebook, Instagram, and Twitter. Feel free to shoot us an e-mail us at pushingmyanmar@gmail.com. As this is an all-or-nothing campaign, funds will only be received and the skatepark will only be constructed if they reach our goal of $19,500 before the campaign ends on October 24. Show your support for the youth of Yangon and Contribute Now! All donations go through Make Life Skate Life, a German registered non-profit organization.